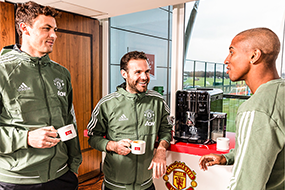 Melitta® continues to make coffee a pleasure on a whole new playing field in its 2nd season as the official coffee partner of Manchester United! We will keep on serving you with numerous promotions, stories and insights from the English record-holding champions. 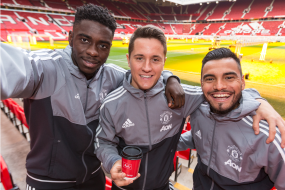 As all fans and players of the „Red Devils“ have experienced since Melitta® became part of the Old Trafford stadium: There is always a reason for a great coffee. 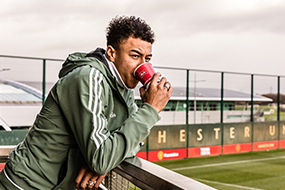 This is especially true at the stylish and completely redesigned „Red Café supported by Melitta“, where all guests at Old Trafford are spoiled with really good Melitta® coffee 365 days a year – even when there is no game on.